New Report: ROI Of Customer Service & Customer Experience | Constellation Research Inc.
Tweet This report looks at how companies, using the right software, can gain ROI from Customer Service and Customer Experience. 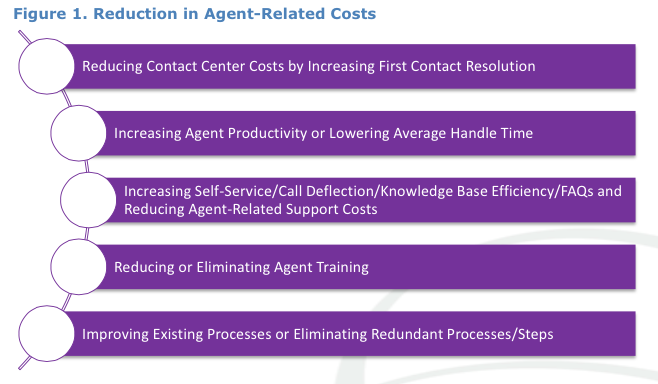 Customer Care as a cost center is an unfounded paradigm. In fact, executives have long thought of customer service or customer care as a cost center. However, this paradigm is and has always been false. Executives and managers know their businesses thrive on happy, satisfied customers and they understand the value of great customer service and customer experiences. This paper looks at the paradigm of “customer care as a cost center” and shows that it is false. It also focuses on the areas of a business that can not only help the business reduce costs, but can generate more revenue when agile customer care solutions are used. This research is based on in-depth customer interviews and field research. Failures in using customer feedback to improve processes or products. Companies looking to reduce their customer service costs should look to agile customer care solutions. Savings can be found from increasing FCR and self-service as well as decreasing average handle time. In addition, if the solution is used proactively by the organization, it can help with process improvements, product improvements and even lead to revenue generation. Companies contemplating an agile customer care solution should consider the following three steps:  Review current costs of running the contact and customer care center. Look at critical metrics like FCR, AHT, as well as the opportunity to generate revenue, improve marketing and enhance employee engagement. Compare current costs of a traditional customer care solution with the costs and benefits of an agile customer care solution. You want to write a requirements definition document that will specify what your use cases are, explain what pain points you want the software to solve and then write an RFI (request for information) and or follow up with an RFP (request for proposal).  Build a business case and a return on the investment model to show the value of switching to an agile customer care solution. As you interview vendors, make sure that they answer all your questions and you understand how the software will solve your business issues. It’s time the paradigm that customer care is a cost-center be done with. 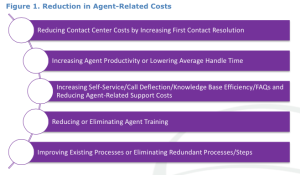 It’s only a cost center if the software is difficult to use, poorly implemented, isn’t agile, requires a lot of training… If you are not getting the benefits and turning your contact center into a profit center, you’ll want to download the rest of the report here.